That’s probably why we’re such big fans of Vancouver-based dietitian, Lindsay Pleskot. 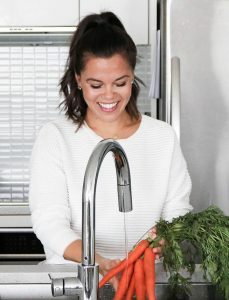 She’s built her practice around a similar philosophy, helping clients make food choices that balance both physical and emotional wellbeing to ensure they’re not only getting the best fuel, but enjoying what they eat! 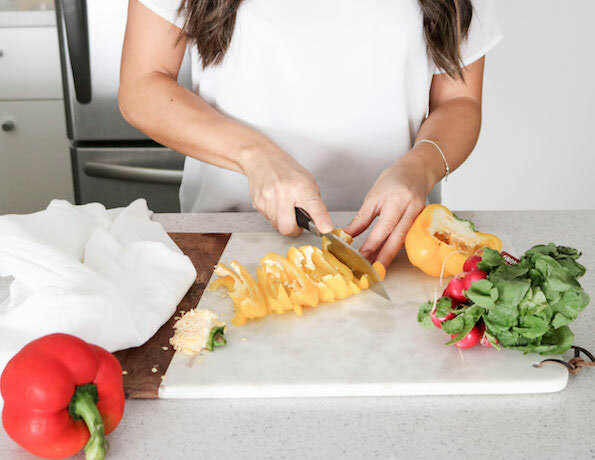 If you’ve ever tried meal prep, it probably makes you do one of two things: roll your eyes and shudder at the thought of eating the same boring food, day in and day out, OR start planning all the things you’re gonna do this week with all that extra time on your hands! Planning ahead is by far one of the most effective ways to reduces stress and anxiety and set yourself up for consistency and success. This applies for work, travel…and definitely with your eating habits! If you were in camp number one above, I get it. As a dietitian my mission is to make food feel good for my clients. This means having flexibility, enjoying food for more than just fuel, and ultimately doing what feels best for you! Now meal prep doesn’t exactly conjure up images of a flexible and relaxed relationship with food but the benefits are just too good to pass up. And this is how The 3-2-1 Method was born – it was developed with my clients to give them the best of both worlds and nothing makes me happier than helping people find ease and enjoyment with what they put into their mouths! So I’m excited to break it all down for you guys and would love to hear if you try it out! So what exactly are these 6 core ingredients (introducing The 3-2-1 Method)? 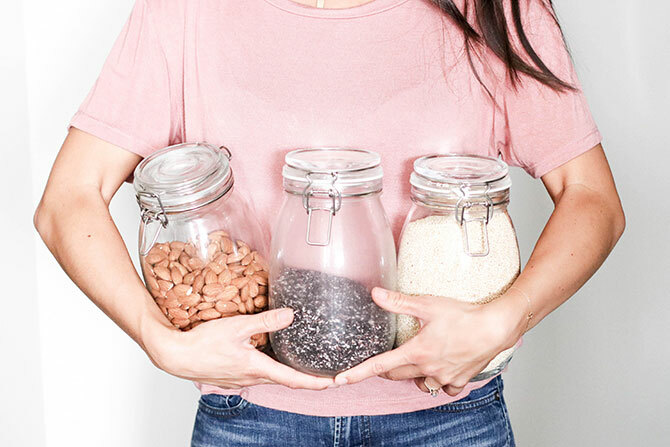 These are your building blocks for a well-balanced meal, and if you plan it right, you can get them prepped, packed up, and have the kitchen clean in under an hour! I created this free Guide to Mastering Meal Prep for you guys that will walk you through all of this step by step. You can grab your copy here! When it comes time to do your prep, the order you prep your ingredients is key to getting it done quickly! 1 – Start with your 1 carbohydrate. Once it’s cooking it’s hands off and you’ll have open time to prep the rest of your ingredients. 2 – Next, prep your protein. Season it and throw it into the oven or onto the stove to cook – again, mostly hands off time besides a flip or stir here and there. 3 – Finish with your veggies. 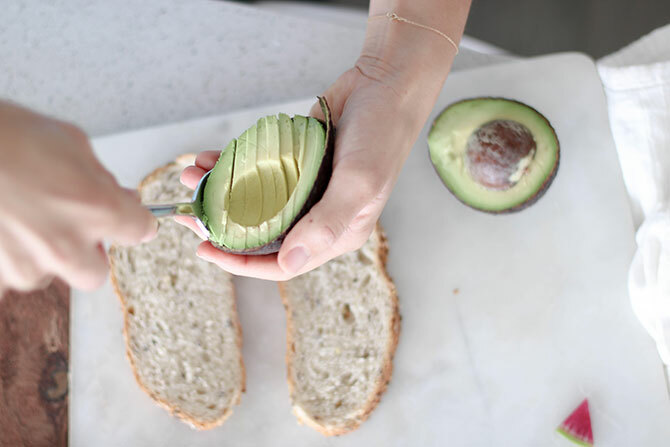 These take the longest which is why they often get left out, but the anti-oxidant, anti-inflammatory, high fiber powerhouses that they are, make them worth the prep! Wash and cut these up while everything else finishes cooking. So my dietitian version of Fast Foods is a little different than what you might be imagining. Basically these are ready to go, healthy, whole foods that require little to no extra prep but can turn your core 3-2-1 ingredients into completely different meals! And I promised you flavor! So here are my favorite add ins that will guarantee you will never get bored! 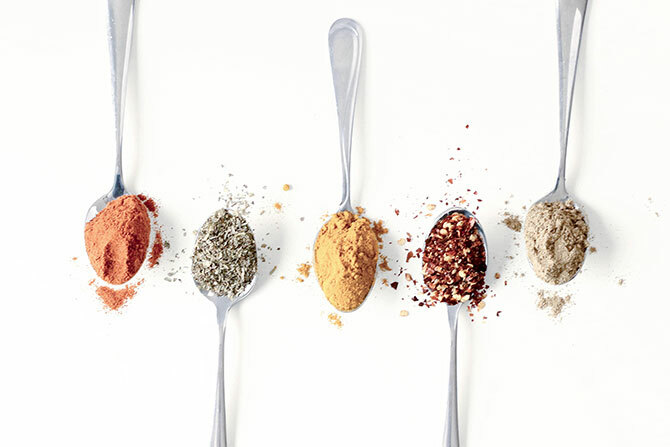 For more information on the benefits and my favorite ways to use them check out my 10 Must Have Spices Every Healthy Kitchen Needs! There’s also a full checklist for you in the free downloadable Guide to Mastering Meal Prep! Try apple cider, red wine vinegar, rice wine vinegar, or balsamic. Let us know in the comments if you have any other faves! My go tos are extra virgin olive oil for medium heat (below 350F) cooking, marinades or dressings and avocado oil for high heat cooking like roasting and grilling (up to 475F). Canned and jarred foods are great because they have a long shelf life and can add instant flavor. Some of my go-tos are curry pastes, coconut milk and tomato sauce or paste. These are great ways to amp up your vegetable intake quickly. Items like bins of greens, avocado, cherry tomatoes, baby carrots, snap peas or pre-cut cauliflower or broccoli are ready to go for that extra serving of fiber and vitamins on the fly! Planned snacks between meals is the best way to keep our energy and blood sugars stable. Whenever I’m planning a snack I always aim for a combo of at least two of these three – fat, fiber, and protein. I love Naked Snacks because not only are they super satisfying (you guys know what I’m talking about!!) but they’re also packed with fiber, protein, and healthy fats from the nuts and seeds and dried fruit. And a little chocolate never hurt anyone, especially at 3pm! I hope you guys found this info helpful to get you meal prepping like a pro and maximizing that energy throughout the day! Feeling inspired and ready to get meal prepping? You’re in luck! We’re doing an awesome giveaway with Lindsay on Instagram where you can win a 3-2-1 meal prep program and a box of Naked Snacks! Head on over to our Insta-feed, look for the most recent post and follow the instructions to enter. If you’d like more in depth meal plans and prep help, check out Lindsay’s 4 week Meal Plan program here! She’s offering 20% off to the Naked Snacks community (that’s you) until October 4th, 2018 using code naked20. And if you have any questions at all, feel free to shoot Lindsay and email at [email protected].